A 4 Day “Girls Trip” of a lifetime! Full of mouth-watering beignets and poe boy sandwiches. Surrounded by a musical infusion of classic 2nd line jazz waves, Trombone Shorty, Frankie Beverly & Maze, Mary J Blige, plus the latest viral dance craves over Drake singing “KeKe Do You Love Me” throughout the streets of New Orleans. Countless women empowerment meet-ups, beauty and style events, community enrichment, intellectual dialogue, day parties, concerts, after-parties and so much more… just to celebrate our evolution of #BlackGirlMagic! Yes, Essence Fest was once again the epicenter for over half a million people to “get their life.” A celebration of melanin poppin’ in all shades, texture poppin’ in all grades, and the glow up of black women around the world on every stage. 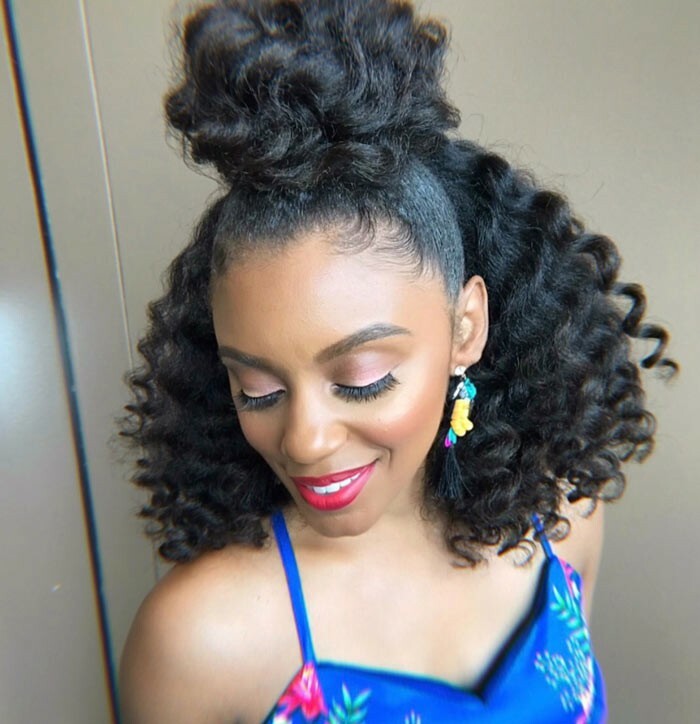 Here’s some of the main highlights and takeaways for natural hair texture that I shared as the Platform Stylist & Educator at the Essence Fest Beauty & Style Expo at the Convention Center. 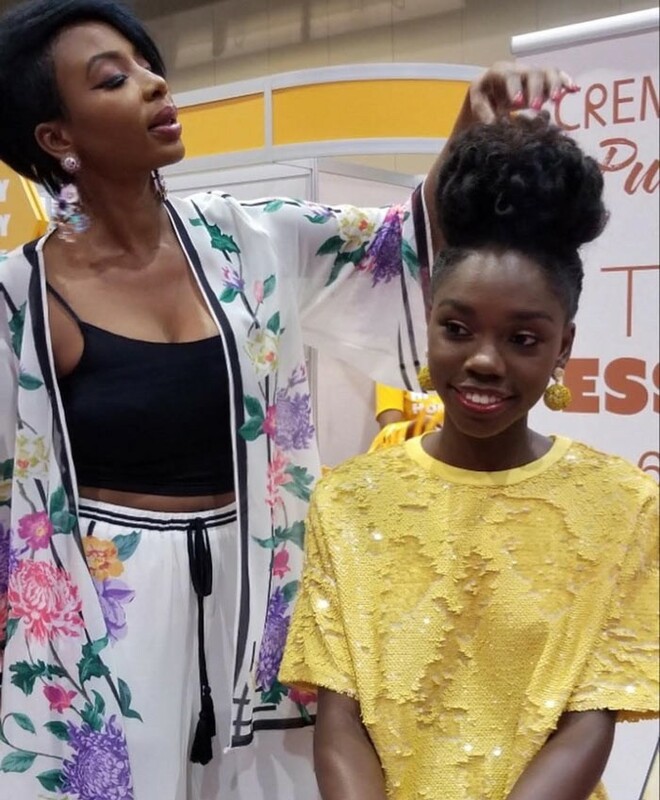 In addition, I also had to share some gems on the evolutionary “glow up” of #BlackGirlMagic awesomeness within the culture during the Essence Fest 2018 experience. Definitely the standout for the summer because it can remain most consistent with climate changes. Similar styles of intricate placement were worn like years before, but the effect of braids is amplified because more women are wearing them now. 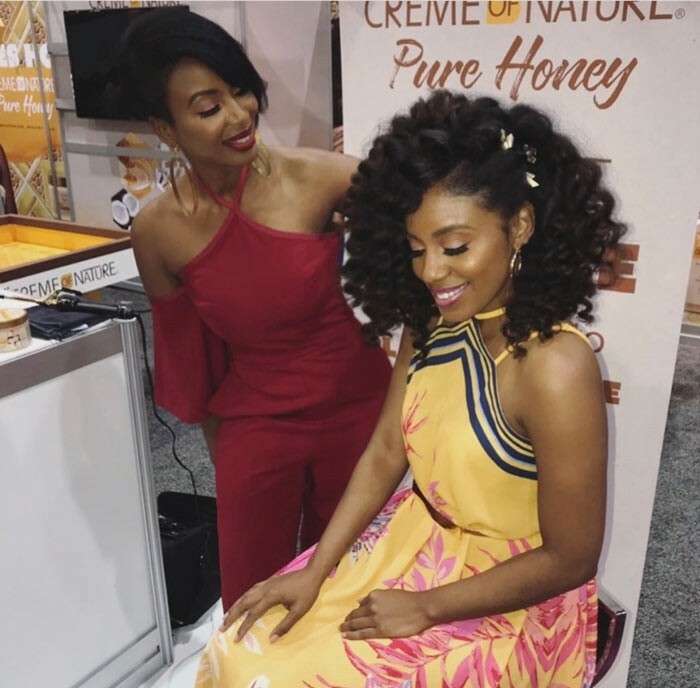 This is the ultimate natural hair solution because it gives you a daily style map, and it’s now poppin’ at an all-time feverish pitch. 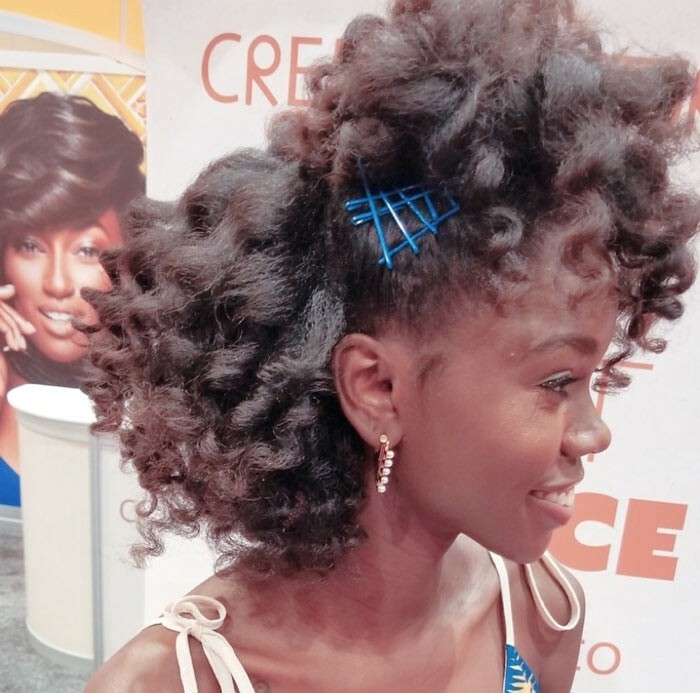 Curl definition is everything, and the variety of these natural styles are definitely on center stage at Essence Fest. 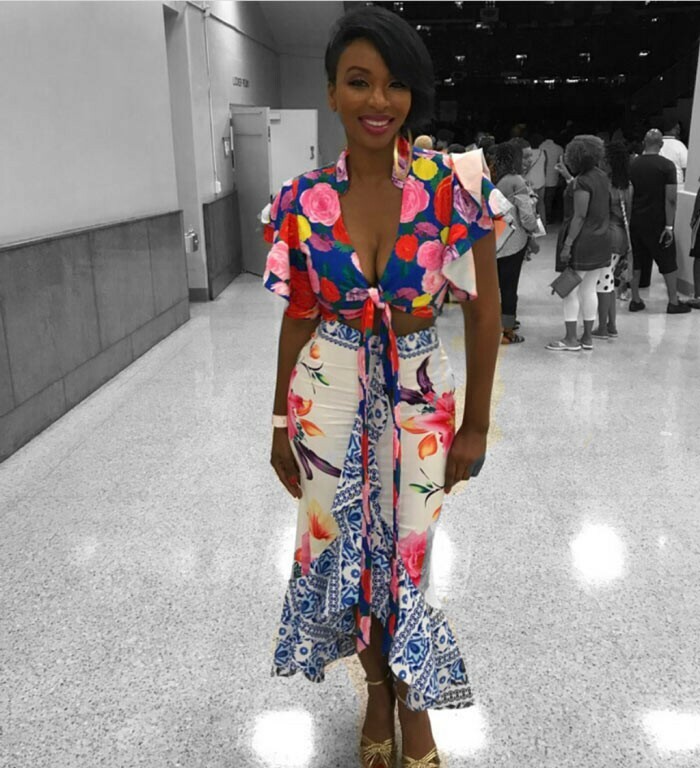 Essence fest was full of ladies loving their flowy Moroccan and Middle Eastern styled prints. There was so much color and playful emotion in the fashion vibe, with a global aesthetic. With numerous exhibitors and businesses ran by women entrepreneurs, plus the numerous empowerment meet-ups ranging from social media influencers to investors, it was so clear that #BlackGirlMagic is constantly evolving - not only from a place of beauty, but economic empowerment. Antioxidants are substances that protect cells from unstable free radical damage that can lead to cancer. #BlackGirlMagic is the antioxidant to the cancer of the historical devaluation, marginalization, and backlash black women have had to gobble throughout time. The carcinogenic has been the disregard for black women. However, Black women have built a movement of #BlackGirlMagic tenacity to keep building healthy super antioxidants to empower us in turning every societal disadvantage into what’s now our celebrated advantage.